Vilamoura’s vibrant nightlife has never failed to capture every traveller’s heart. With a sheer number of restaurants, and night live performance venues, Vilamoura indeed offers guests every possible entertainment there is. 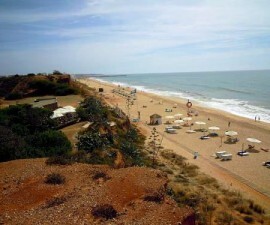 Unlike other tourist areas in the Algarve, Vilamoura has the most trendy night spots. It has a diverse blend of entertainment areas catering to every type of guests — from children and teens, to couples and elderly crowds, and from the hip and cosmopolitan to the mature and wholesome. The facilities in Vilamoura are available all throughout the year, but the best time to experience it at night is during the peak season, which is during the summer and peak golf periods. During these times, the Marina area, where most of the bars and restaurants are located, is flocked by locals and tourists alike, enjoying the beautiful sights, sumptuous food, and good music. One great way to feel the spirit of Vilamoura is through a gastronomic tour at night. 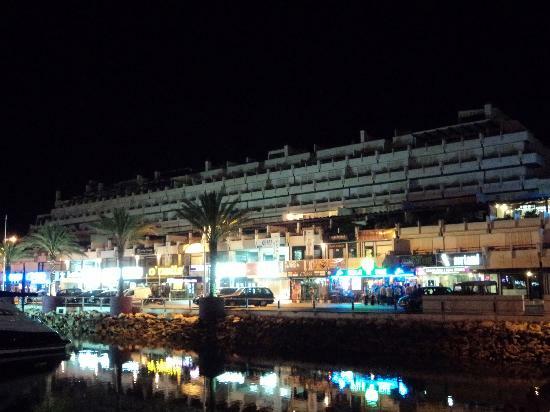 Guests will find that Vilamoura indeed dazzles at night, with a variety of restaurants scattered around the marina. And of the sheer number of dining establishments in Vilamoura, one of the most visited places is O Colonial, a “café” style Portuguese restaurant known for their friendly staff and of course, great food! They offer a range of European food but a must try here is their famous Piri Piri sauce. Established in 1985, Don Alfonso is another great place to go to for guests looking for great food and comfort. 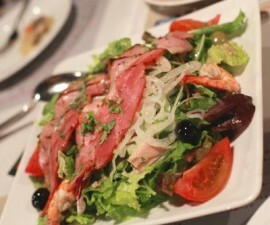 Its captivating interior, warm personnel and quality food make this place one of the top-rated restaurants in Vilamoura. Don Alfonso boasts of a range of must-try food, including Tulip Salmon and Clams in Garlic. They also offer mouth-watering desserts like Cheese Cake and Apple Tart. For guests looking for exotic tastes, the Sabores do Mundo is a great place to go. This restaurant offers a twist to the best of the regional cuisines in the world. French, Portuguese and Italian cuisines are must try here. Other restaurants to try include Casa do Pescador, Akvavit, Pipa Rota, Zu Yi, and Ancora Restaurant. Perhaps one of the best entertainments in the area that tourists should not miss is good food coupled with astounding live performances. 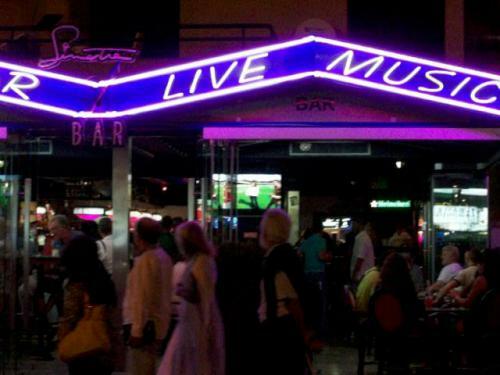 When it comes to this aspect, Vilamoura nightlife does not disappoint. There is a wide array of bars that tourists can check out for good food and wonderful live performances catering to all types of guests. One of the most popular is the O’sheas Irish Pub, which is located in the Marina and is popular for their live entertainment and very friendly staff. Another lively bar worth checking out for in the area is the Rui’s Carvery and Bar, which is a British owned carvery and bar offering great food, and live performances or karaoke. Rui’s Carvery and Bar is open from 9am, serving full English breakfast, lunch and snacks. But a must try in the bar is its carvery that is available from 6pm daily and noon every Sundays: a selection of fresh vegetables, roast meats, home-made Yorkshire pudding and potatoes. Rui’s Carvery and Bar also shows all types of sporting events every day on HD plasma screens. Live performances are also available here, from 9pm onwards. Other popular haunts in the area include Figo’s Bar, 19th Hole and the Jazz Club. Loud music, fancy drinks, colourful lights flashing in time to the booming music and people dancing are the usual scenes in the major and biggest disco house in Algarve: Kadoc on Estrada de Vilamoura. Kadoc on Estrada de Vilamoura has a capacity of 7,000 guests, five dance floors which close until 7 am, and an open air terrace. This establishment pulls in yuppies and couples looking for some dancing and all night partying. Another popular disco house located within the Vilamoura Casino complex is Blackjack Disco Club. Opens nightly from June to September, the disco house draws in slightly older crowd. Agua Moments, located in the Marina, is also another place that hosts night parties and discos. While during the day Agua Moments offers a window to the ocean and the marina, it transforms into a great venue for parties and disco in most nights. 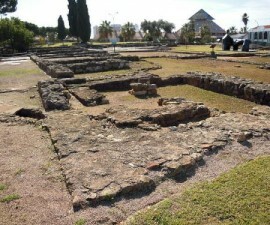 Its main social point is its garden, with a cocktail bar set in the middle. For guests who are into gambling, there is the Casino Vilamoura, a casino located next to the beach and major hotels within Vilamoura complex. The casino, which is open from 5pm to 3 am, promises a thrilling gaming experience with over 500 slot machines, and gaming room with about 20 tables including Blackjack, American and French Roulettes, Poker, and Portuguese Dice. Apart from gaming, guests will also be treated to stage entertainment or cabaret shows. There are also special shows to watch out for during special occasions. Although not a big casino, Casino Vilamoura offers great gaming experience with its very friendly staff. And being not too crowded, it is perfect for guests looking for a quiet, intimate gaming experience in Portugal. Be forewarned though: foreign guests are required to present their passport, and male guests are required to wear a tie and a jacket to enter the casino. There is also an entrance fee to the casino. Apart from these night hot spots, tourists can also find live performances and parties at the beach during the peak golf season and the summer. These night venues are perfect for visiting families with kids, couples or just anyone who are just looking for some fun while enjoying the fresh sea breeze and the night sky. In addition, there are also strip bars for mature guests. Indeed, with these sheer number of night entertainment options, it is impossible for every guest not to enjoy the vibrant Vilamoura at night.